Administrators can now view, print and email payment receipts. From the member’s account Timeline, click on any payment and select “View/Print” or “Email”. Emails can be sent to the member or to any email address as needed. 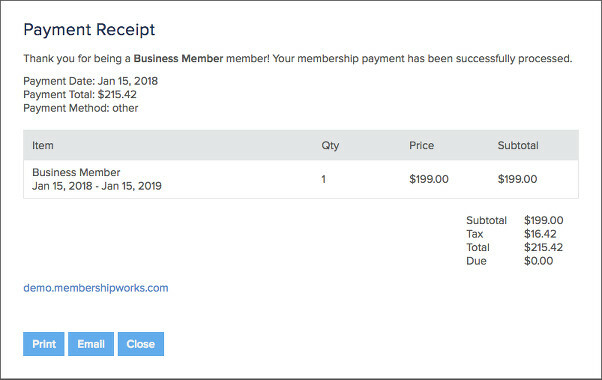 Members can also print and email payment receipts themselves through a Payment/Invoice History box by clicking on the view icon next to the payment.